As you may have seen on Instagram, I'm now addicted to crochet! It all started in the middle of December, when I was staying with my parents for the Christmas holiday. I'd seen this gorgeous hand-crocheted blanket in the shops on sale for a small fortune, fallen in love with it, and my mom offered to teach me to crochet for myself. 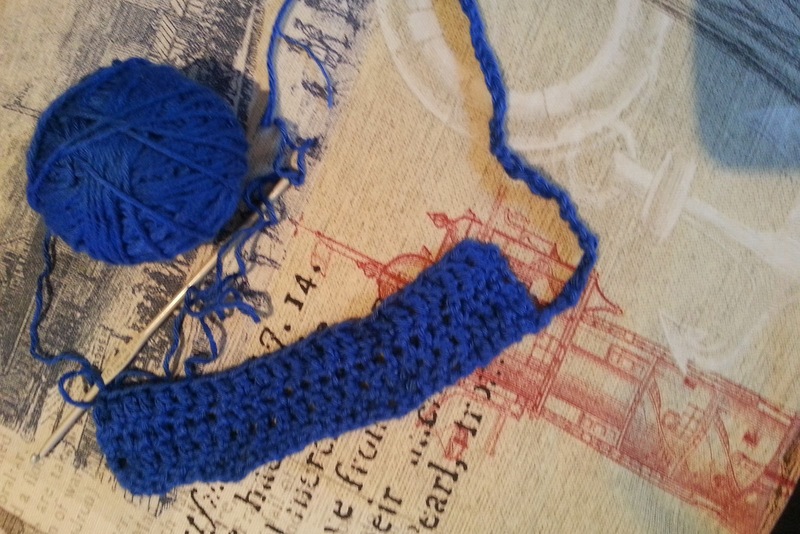 I started out with some old blue cotton yarn that she had found at home, and after much staring at her hands effortlessly work a crochet hook and an hour or two of practicing my own very wonky stitches, I started to get the hang of it. 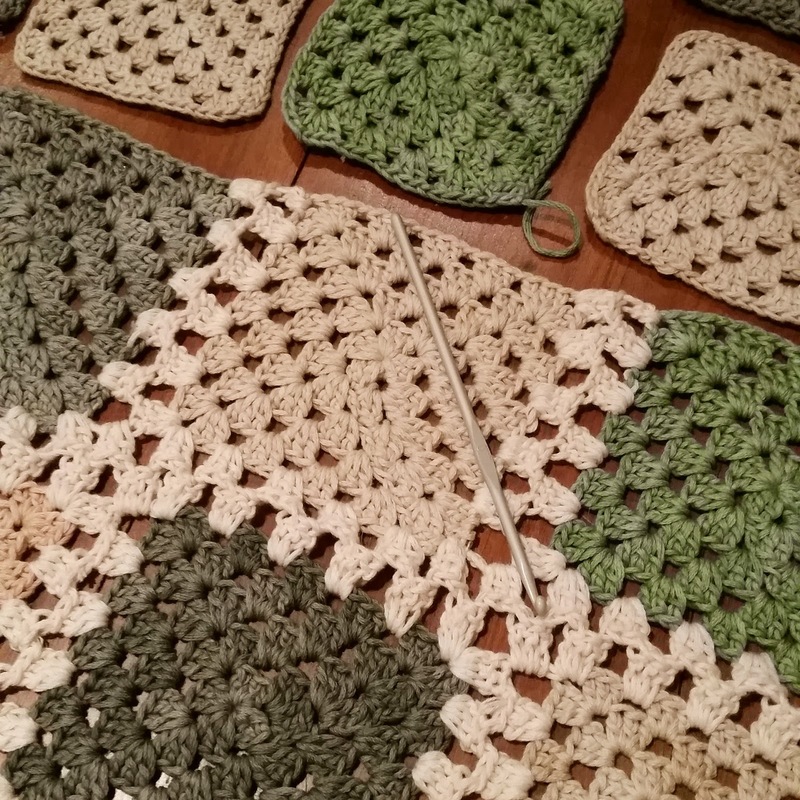 For my very first project, I decided to go with a simple granny square blanket. I decided to do solid-colour blocks, rather than the more conventional multi-colour blocks, but chose a few coordinating shades. These neutral shades were inspired by the blanket that first caught my eye. I bought all my cotton from Thimbles, Quilt and Knit in Durbanville - I can def recommend them if you live in the area, they have an amazing selection of yarns! The cotton yarn that I chose is Vinnis Colours Nikkim - a 100% cotton, super-soft yarn that is hand-dyed in Cape Town. The colours I used for the squares were Slate 540, Khaki 571, Sand 578 and Dune, and I'm using Natural 500 for the joining and border. I'm using a 4 mm hook for this project. Here are some work-in-progress pictures of how far I currently am! 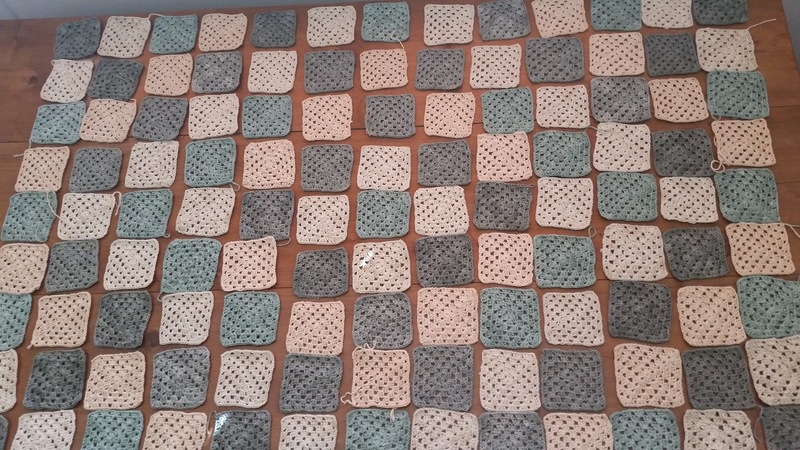 I've finished all my squares (13 rows of 9 squares) and am now in the process of joining them using this tutorial. Joining is now taking rather long as I can no longer just carry a ball of cotton and a crochet hook around with me, the blanket is starting to take up considerable size! I'm mostly just working on it on weekends when I can sit down in front of the TV and crochet away! I can't wait until it's finished and I can show it off! 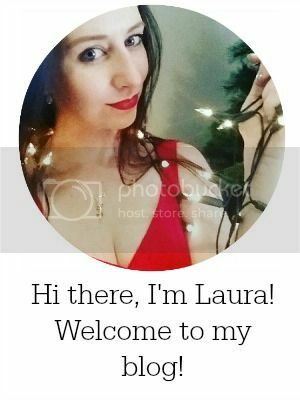 Wow, Laura. This is amazing for a first attempt. Well done!! Looking forward to seeing the end result.